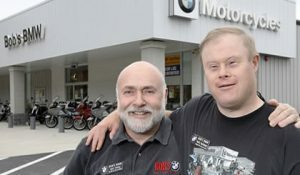 Bob’s BMW for 25 years. Supported employment opportunities are developed by working with people through the discovery process and by identifying potential employers to achieve their employment goals. Employment Specialists and Job Developers work with the person to identify strengths, opportunities, strategies and any accommodations needed for the person to be successful. After the person begins employment, specialists, developers, and direct service professionals continue to provide supports needed to maintain a successful work relationship between the employee and the employer.